Home > PC > Oooh, one of Idea Factory's most underrated games lands on Steam on April 10! Oooh, one of Idea Factory's most underrated games lands on Steam on April 10! Dark Rose Valkyrie is one of my favourite Idea Factory JRPGs. As I outlined in my review, the game does a remarkable job of blending a more mature combat system and darker storyline about betrayal and military themes with Idea Factory's traditional clothes ripping and underwear-heavy fan service. 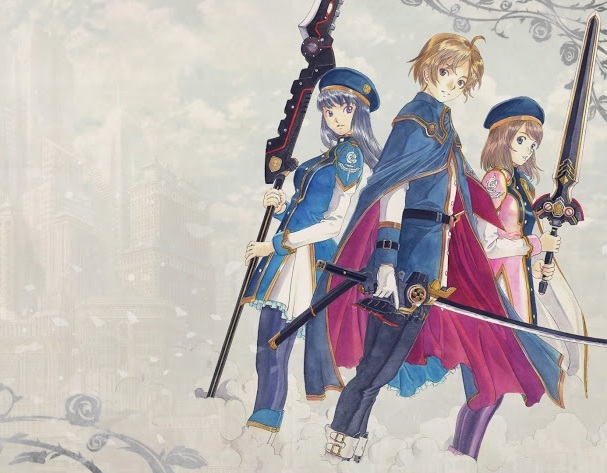 Related reading: Our review of Dark Rose Valkyrie on the PlayStation 4. And now it's coming to Steam. As of April 10, people who don't own a PlayStation 4 will be able to grab this previously exclusive game for themselves. It will also have Japanese and traditional Chinese subtitles. You'll also be able to buy a complete deluxe set, which offers the game, all the DLC, and a hefty digital pack of art, PC and mobile wallpapers. The game was written by the Tales of series scribe, and also features the talents of the Tales of series character designer. It's very different to other Idea Factory games as a result, and while it's polarising (believe me I'm aware that a lot of people don't share my love for it), it's just different and creative enough that it's well worth a look, because you may well end up loving it as much as I do.